We all have our own opinion on which locker is better, top or bottom? 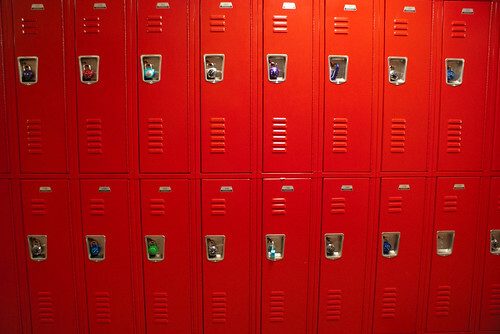 In 6th grade I got a top locker, which was fine since I am tall, but you usually can’t put your stuff on the ground due to the fact that someone has the locker bellow you. This year I have a bottom locker, which I personally like better since you get to put your stuff on the floor. The bad thing about it is when I’m trying to put away or get my stuff, I have to wait until the people with the top lockers move so that I can open my own locker. So what do you like better, bottom or top lockers?